Former Chief Justice Sarath N. Silva has been ordered to appear before the Supreme Court on February 07 over Contempt of Court charges. The petition filed against the former Chief Justice was taken up before the Supreme Court judge bench consisting of Justices Vijith Malalgoda, Murdu Fernando and S.Thurairajah this morning (23). Representing former Chief Justice Sarath N. Silva, President’s Counsel Romesh de Silva informed the court that his client is ready for the hearing of the case. The Supreme Court judge bench pointed out, the advice of the Attorney General should be sought with regard to the hearing of the indictments against the former Chief Justice. Accordingly, the Supreme Court ordered to take up the case on February 07 and ordered the former Chief Justice to appear before the court on that day. The petition was filed by Senior Professor Chandraguptha Thenuwara, Prof Hewa Waduge Cyril, and Prof Prashantha Gunawardene, stating that statement made by the former Chief Justice during a meeting organized by the ‘Jathika Ekamuthuwa’ organization in Maradana, is in contempt of court. 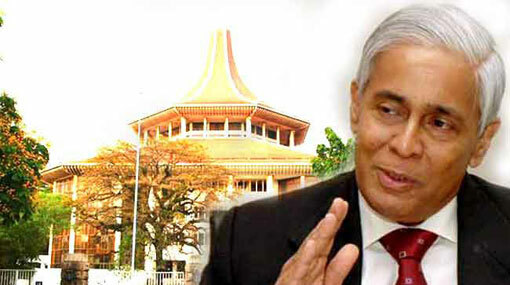 They have requested the Supreme Court to hear the case and penalize former Chief Justice Sarath N. Silva accordingly.